You may notice people you follow at Twitter participating in chats since the things they tweet for the chat are part of their timeline. So, don't be shy to just join in when you see a chat going on. You may also find chats happening as back-channels for conferences. 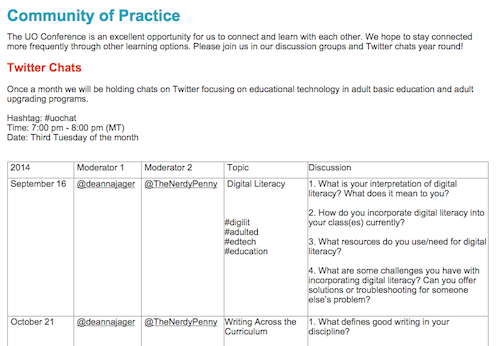 You can find a calendar of chats here: Education Chats.